That’s Cardinal Thomas Wolsey, archbishop of York. The son of an Ipswich butcher, Wolsey has served the king diligently as his chief minister, organising wars and taking care of the routine government business the king finds crushingly dull. Along the way Wolsey has accrued high church office, grand palaces and some very powerful enemies among the English aristocracy, who think with some justification that he is a jumped-up pleb. 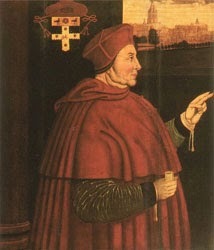 Wolsey has been tasked with securing the king a papal annulment of his marriage, on the grounds that as a teenager Queen Catherine was married to Henry’s elder brother, Arthur, and that the marriage was consummated. Scripture is ambiguous about whether such a marriage is legal or an abomination unto the Lord. But worse than that, the Pope is a prisoner of Queen Catherine’s nephew, Charles V, king of Spain and Holy Roman Emperor. It all looks rather tricky. 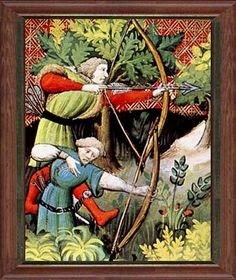 Was Edward IV the result of an affair Cecily Neville had with an archer named Blaybourne? and not the son of the Duke of York at all? "..............Several historians have given credence to this myth arguing that Cecily conceived while her husband was away fighting at Pontoise. While the fact that York fought in Pontoise in August is true – it is in no way proof that Edward was the product of an illicit union. What none of these historians and novelists factored in however, is the time between conception and giving birth. Nowadays with modern science it is easier to predict when one conceives and one gives birth, but it is not an exact science yet. There will be mistakes. There will be factors that determine whether a pregnancy comes to term or not, whether the baby arrives at the exact date the doctor or midwife foresees is 50/50. Now imagine yourself in the first half of the fifteenth century with no modern medicine and only midwives and religious superstition to tell you whether you were pregnant or not, if the child you expected was a boy or girl, or if you were closer to term according to the fullness of your belly. Doesn’t sound like it would give us much accuracy, does it?" On the 19th September 1894, Josiah Thomas, who was the mine captain, and James Johns began an inspection at Dolcoath mine in Camborne. On returning to the surface, both men voiced their concerns regarding a section of timbers that was supporting 600 feet of waste rock, both men agreed that it was bending. Orders were given that it be strengthened immediately. The following day miners descended the half mile underground to level 412 to make repairs and this work continued all through the morning. At one o'clock there was a small rock fall, which suddenly gave way burying nearly all of the men under it. 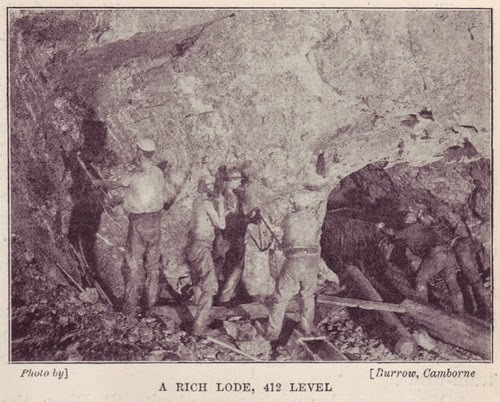 Eventually rescuers reached the miners, only one man was found alive but eight had been killed. ....."As I looked into the little cavity amongst rocks and timber from which the only man who escaped alive was taken, an involuntary shudder came over me at the thought of being doubled up in that hole, with darkness and death for companions, for a whole week. 'Where is he now ?' I asked, remembering how frail he was when brought to surface. 'Oh,' came the answer, 'he went to America some time after, and is now working in South Africa.'" The images you see were taken at level 412 four years after the accident. 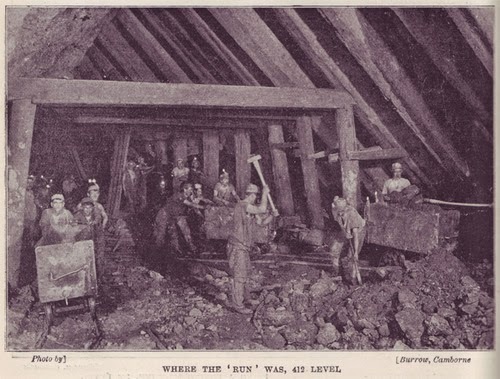 Dolcoath mine tin production exceeded that of any other mine in Cornwall. In 1896 the mine was yielding eighty pounds of tin per ton of rock lifted but this gradually declined and the mine was closed in 1915. 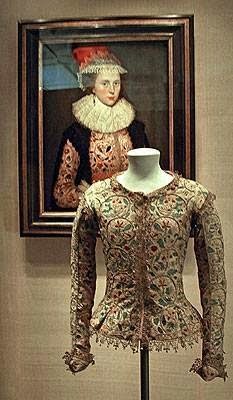 Held at the Victoria & Albert Museum, this seventeenth century embroidered jacket, is a surviving example of English Jacobean embroidery. It was owned by Margaret Laton, wife of Francis Laton, who was one of the Yeomen of the Jewel House during the reigns of James I, Charles I and for a short time Charles II. Our English word Shilling originates from the similar Anglo Saxon monetary term Schilling, which was thought to be the value of a sheep in all English counties except in Kent, where its value was a cow. By the late fifteenth century we were calling this coin a Testoon. The Testoon was introduced in 1489 during the reign of Henry VII when only small quantities were minted. There are only three known dies for this coin, the HENRIC, HENRIC VII and HENRIC SEPTIM. What the coin was used for is not known but it is thought that it was not used as part of the countries normal coinage. One of the Testoon's minted in the reign of Henry VIII we can see here, it is a nine ounce coin with the wording Henric VIII struck around the sides and it weighs about 7.67 grams. 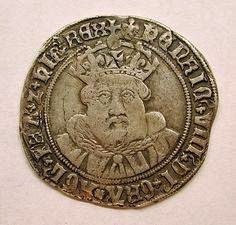 On the face of the coin we see an ageing Henry VIII with a beard and long hair coming from under his crown, he is wearing a cloak with a fur collar. 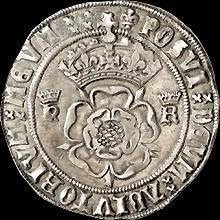 On the reverse we can see a crowned Tudor Rose. The Testoon remained in circulation in England until 1707 when the Act of Union came into force, it was then it became known as the Shilling. 15th April in Days of Yore. As you can see its the very start of Lienosus and Sir Renaud's journey to do battle with the enemy. Prognathism is well recorded as a trait of several historical individuals. The most famous case is that of the House of Habsburg, among whom mandibular prognathism was a family trait. 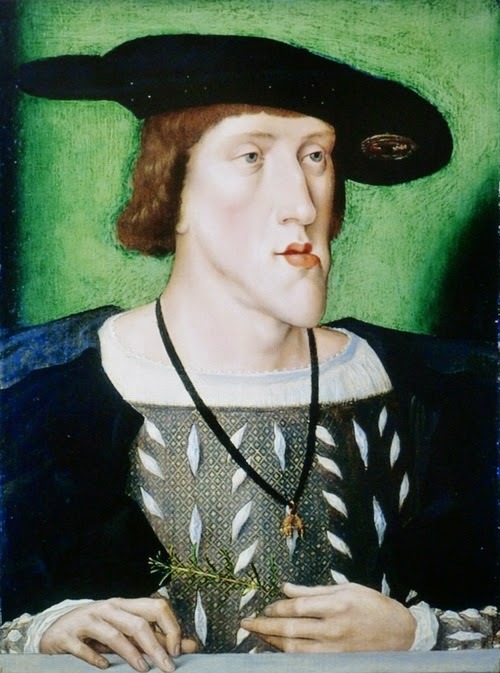 The condition is frequently called “Habsburg Jaw” as a result of its centuries long association with the family. 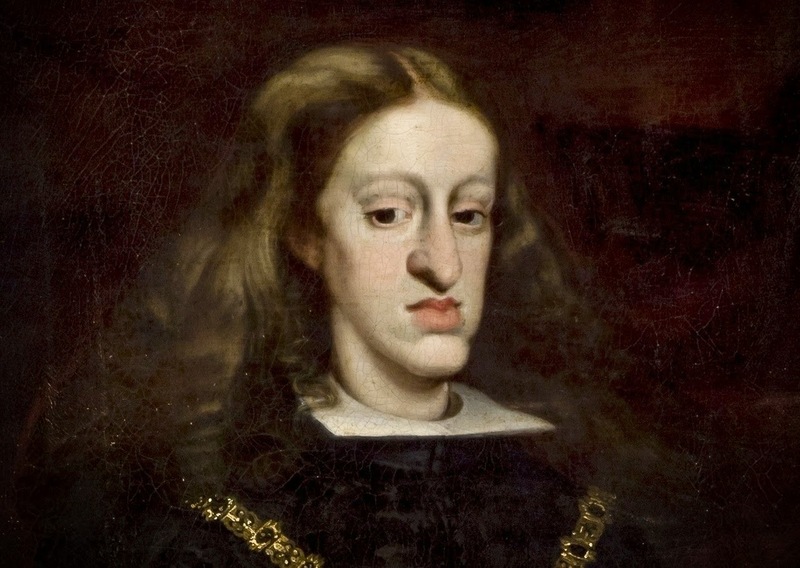 Among the Habsburgs, the most prominent case of mandibular prognathism is that of Charles II of Spain, seen here in the first image, who had prognathism so pronounced he could neither speak clearly nor chew as a result of generations of politically motivated inbreeding. 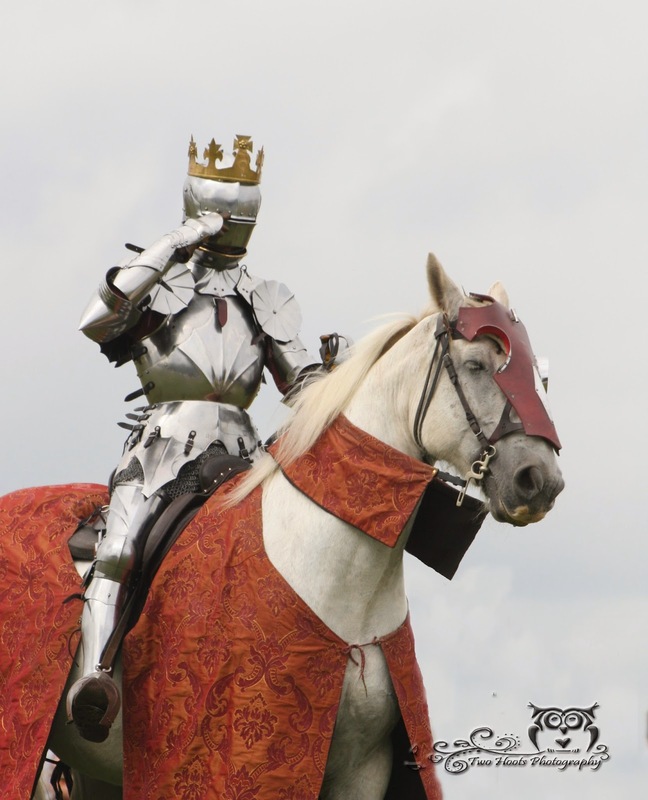 "Contrary to popular belief, the medieval knight was not mounted on a huge plodding draft horse like the famous Shire. By combining archaeological finds with pictorial evidence we can paint a picture of the typical Destrier as a very athletic short-backed horse not exceeding 15.2 hands in size. 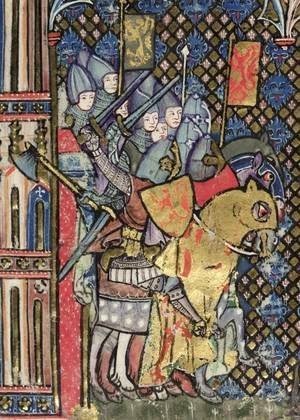 Medieval paintings often show horses in perfect collection with beautiful gaits, permitting the conclusion that the medieval warhorse was highly trained and extremely manoeuvrable." A fine example of a Destrier can be seen here in my photograph taken at the re enactment of the Battle of Bosworth in 2012. Mini History Blogs: Lady Elizabeth FitzGerald by Steven van der Muelen. 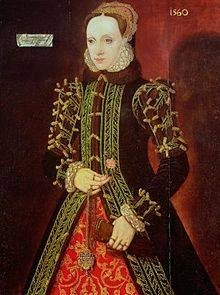 Steven van der Muelen was one of the many Flemish artists in the court of Elizabeth I and here he captures Elizabeth as Lady Clinton. 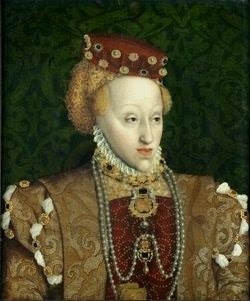 Fair Geraldine, as she is commonly known, was famous for her beauty, this name is said to have derived from a poem by Henry Howard, Earl of Surrey. 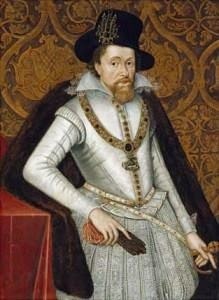 It was very superstitious King James and his views on witchcraft that may have given Shakespeare the ideas for the witches in his play Macbeth. This plays was first performed in James’s court in 1606. It is thought to be the very first time in history that an English play depicted witches gathering to cast spells.